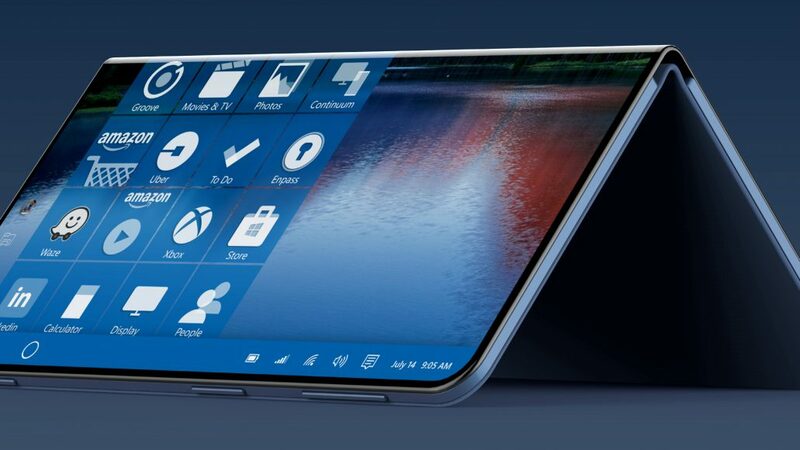 It seems like our future is going to be with foldable gadgets and Dell is the latest manufacturer to apparently have such a 2-in-1 device with foldable display and body and this tablet PC going to run with Windows 10. 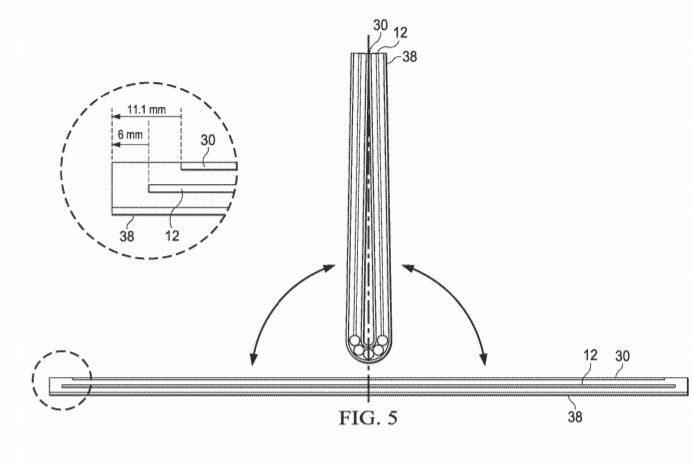 Patent for this foldable tablet is titled as ‘Flexible information handling system display external hinge structure’ was filed in June 2017 and published by USPTO(U.S. Patent and Trademark Office) on 25th September 2018, but just been spotted by Windows Latest. According to the patent which was recently published by USPTO, Dell is also working on its own foldable device that might be powered by Windows 10. It seems like foldable computing devices are in trend as most of the leading tech manufacturers, like Samsung, Microsoft, Huawei, and Xiaomi have planned to launch their foldable gadgets with the end of this year. And, recently -published patent suggests that Dell is working on foldable tablet PC. In the Published patent application, a computing device composed of two separated casing and both the part is connected by a hinge. Dell is using OLED display for its foldable devices and this OLED film is integrated to a display frame structure having first and second frame combined together with flexible support of 5 hinges at the folding point of OLED film display. “An information handling system having rotationally coupled housing portions supports a flexible display disposed of across the housing portions with a hinge structure that manages flexible display curve radius in a folded configuration. The hinge includes plural hinge elements having an arc face, arc cavity interior and mounts that couple with hinge coupling elements. The mounts align the hinge coupling element rotational axis out of the cavity to aid in maintaining the hinge elements having no gaps during the rotation of the information handling system housing portions. The hinge coupling element integrates friction plates disposed of normal the rotation axis to generate torque for managing housing rotational movement,” Dell explains. As shown in the diagram, the foldable tablet can work as a 2-in-1 device when unfolded. It can be easily seen that how a laptop-sized device is folded into a small-sized tablet with the help of hinges used between two OLED film display frame structure. Since this project was filed in June 2017 and published in September 2018 with an idea of foldable devices. Now, we will have to wait till the launching of such innovative creation by our leading tech manufacturers.